News - From June 2010, I started to spend money on Google AdWords to maximise my effort to share experiences by writing this blog. Welcome to my blog on CFD, numerical modelling and parallel programming. 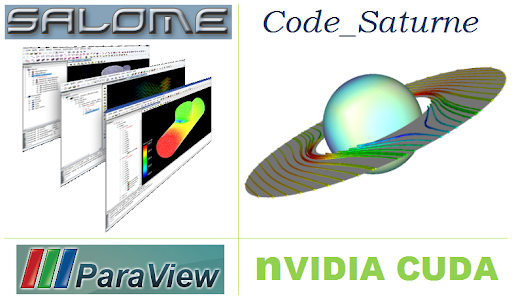 Though relevant things are included, the CFD part of this blog focuses on the packages SALOME, Code_Saturne and ParaView etc. The complete content can be directed by the Labels list on the right side. All the posts here are kept updated. Following or subscribing a blog is a good idea if it really helps. Up to March 2012, as reported by Google, there are 90 friends who are following or subscribing my posts using Google. The latest SALOME version is 6.3.1. However I haven't tried this version; I am still using the 5.1.x. For 5.1.x the latest version is 5.1.6. The complete instruction, "Installation of SALOME 5.1.3 on Ubuntu 10.04 (64 bit)", should help when install SALOME 5.1.x onto Ubuntu; at least according to feedbacks, this works up to 5.1.4 onto Ubuntu 10.04 (32/64 bit). The tips also suit Ubuntu 9.10, if all packages are updated in the system. For Ubuntu 9.10, an older post is "Installation of SALOME 5.1.2 on (K)Ubuntu 9.10 64 bit". The notes might be slightly outdated. If preferring Ubuntu 9.04, it is also easy to install SALOME by only following "Installation of SALOME 5.1.1 on Ubuntu 9.04". The post actually helps up to the latest version 5.1.3. For those who still use the old 4. * versions of SALOME, "Polishing GUI of older SALOME versions" is recommended to read. "CFD tutorial: laminar flow along a 2D channel - Part I" is a brief tutorial on using SALOME to do the geometry modelling and meshing. More examples are still on the way. The latest Code_Saturne 2.1.0 is much easier to compile and install than ever. An instruction on this version is on the way. By the way I also successfully ported this version onto Windows 7. Since version 2.0 Code_Saturne started to adopt the typical source build and install procedure on Linux. By following "Installation of Code_Saturne 2.0-rc1 on Ubuntu 10.04 (64 bit)" I am confident it would be an easy job for you. In the meantime, if you are also a SALOME user, I strongly recommend you to read "Compile Code_Saturne with SALOME binary libraries" in order to reuse the binary libraries already shipped with SALOME. Two slightly outdated but helpful posts are "Installation of Code_Saturne 2.0.0 on Ubuntu 9.04" and "Installation of Code_Saturne 2.0-rc1 on Ubuntu 9.10". You can also try to test installing Code_Saturne with apt-get. Please read "apt-get, the ideal way to install the software onto Ubuntu". The instruction on installation of the last stable version, 1.3.3, was written in "Installation of Code_Saturne 1.3.3 on Ubuntu 9.04". On the other hand, for the version 1.4.0 the installation procedure is quite similar to that of 1.3.3, except 1.4.0 turned to use PyQt4 and Qt4. Please check "Installation of Code_Saturne 1.4.0 on Ubuntu 9.04" to see how to use (Py)Qt4 instead of the python-tk and tix. "CFD tutorial: laminar flow along a 2D channel - Part II" gives a brief tutorial on how to apply Code_Saturne to solve a CFD problem. Installation of ParaView is relatively easier and please read "Installation of ParaView 3.6.1 on Ubuntu 9.04". The usage of ParaView is briefly illustrated by an example in the article "Post-processing with ParaView". For the latest version of ParaView, please refer to its official site. A basic idea of using NVIDIA CUDA and the template library thrust is shown in "A simple test on the efficiency of thrust". An example to use CUDA practically is "Apply CUDA to solve a 1D heat transfer problem". Last but not least, any comments are sincerely welcome and your support is always my motivation. The visitors here are from all over the world. 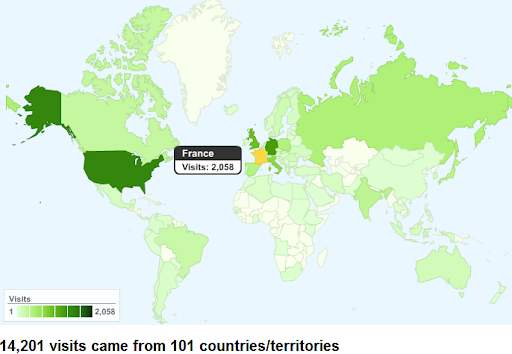 See the visits map overlay below, which is provided by Google Analytics for the half-a-year period from January 2010. CEA/DEN, EDF R&D and OPEN CASCADE are pleased to announce SALOME version 6.4.0. Please visit news for more details. This is a public minor release that contains improvements and bug fixes against SALOME version 6.3.1 released in July 2011. Proceed to the download page to get this release for a go. Note that the Windows version 32bit is also available to download at the same page. On 31 Oct, 2011, Code_Saturne 2.1.0 (intermediate version) has been released and is available for downloading. The details of the new features are described on the corresponding news page. Packaging: Code_Saturne is now provided as a single package, grouping all existing libraries (BFT, FVM, MEI, libsyrcs). It also includes preliminary source code for SALOME plugin (CFDSTUDY module and Code_Aster coupling). Code coupling: Code_Saturne 2.1 can be coupled with SYRTHES 4.0.0-10 (at least). SYRTHES 4.0 is a complete rewrite of SYRTHES 3.4 with many new features and should shortly be released. Code_Saturne 2.1 also contains preliminary code for Code_Aster coupling (more to come on this topic in next versions). User interface: both the script user interface and the graphical user interface have been simplified and completed to enhance user experience. Just give a try to the new runcase script (and its Python overloading) and to the new features of the graphical interface (more to come also on this topic in next versions). New mesh readers: Code_Saturne pre- and post- processing has been updated to support CGNS 3.1 and MED 3.0 format. MED 3.0 is compatible with SALOME 6.3. Documentation: the user manual has been slightly improve and a Doxygen documentation of the sources is now available. An installation manual is now provided too. 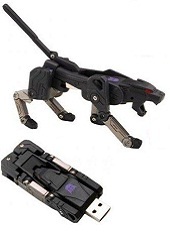 Configuration: a configuration file can be completed, either globally or by user, to setup some runtime options like the scratch directory, an optional mesh database or SYRTHES 4.0 version to be used. Automatic V&V: a tool for automatic run of Code_Saturne has been developped, enabling the user to automatically run simulations, plot graphs and receive a PDF report by e-mail. It can be very useful for automatic Verification & Validation, though it is still in the very early stage of development.